#1: Ensure that your blog is part of your website. #2: Solve your customer’s problems. #5: Use multiple content formats. #6: Headlines attract attention (or not). #8: Include a call to action. #9: Get them to subscribe. Your blog should mirror the design navigation and design of the website. This is because a visitor’s first experience of your company may be through a blog and they may never reach your main website. It is a good idea to maintain your blog as a sub-domain (for example, blog.website.com). Your blog posts should be focused towards solving the problems of your customers. It is not a good idea to make your blogs solely a repository for your press releases. Your company’s news may be interesting to you, but not to your prospects. You can make use of customer inquiries or FAQs to fuel your blog postings. Write blogs that contain great information with some amount of regularity. You can hire a freelancer if writing is not your forte. It is a good idea to follow an editorial calendar. You must also encourage visitors to post their comments and keep them engaged by responding to them. It pays to make the blog posts concise as well as punchy and focused on one idea. Blog posts can be images, videos, PowerPoint presentations or even graphics. Frame the blog posts in such a way that the visitor does not have to spend a lot of time reading and understanding them. There are five types of content that you can make use of for lead generation: informational and educational, ebooks, webinars, media interviews and guest posts or article contributions. Further, you must optimize the content on the basis of the buyer persona, align it with the needs of your customers, as well as the buying stages, and ensure a smooth flow of the conversation. Make the headline catchy in order to entice the visitor into reading your blog. It is the post title that makes visitors click on your blog post. A great headline can be the difference in whether your blog gets read or not. Your blog post must contain several links (through specific keywords and phrases) to the resources built around these keywords and phrases on your main website. Make use of the space around the blog post, especially the leaderboard at the top, the side bars and the space after the post. 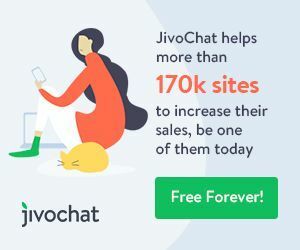 Whereas the leaderboard and side bars can be made use of to place an email subscription form or banners with a special offer, the space at the bottom of the post can be utilized to provide a companion offer or link to related content. The space at the bottom can also be made use of to provide links to landing pages that call for email registration or a form, as we do at the bottom of this blog. Make it easy for visitors to subscribe for updates to your blog through email. That way, whenever you publish a new post, a notification is sent to your subscribers inviting them to check it out. You can make use of plug-ins that can be integrated into WordPress or other such blogging platforms to allow subscription options. This turns your blog into a list-building system. You can also make use of third-party services to collect names as well as contact information for you. Some of the services available are Google FeedBurner (free) and Mailchimp (free upto 2000 subscribers). Email lists are very important for the success of your business. However, you need to maintain a good relationship with the members of your list. Make sure you send regular follow-up emails to your list with useful information about your business, products and services. Make it easy for your blog to get shared and include sharing buttons, especially that of Facebook, LinkedIn and Twitter – in your blog posts. You can do this easily using one of the many plugins available to WordPress users. Your visitors will share your content if they feel that it will be of use or if it makes them look good (read, smart and well informed) to others in their social networks. Blogging presents you with a real opportunity to generate leads by connecting with your customers in real time and engaging them on a continuous basis. 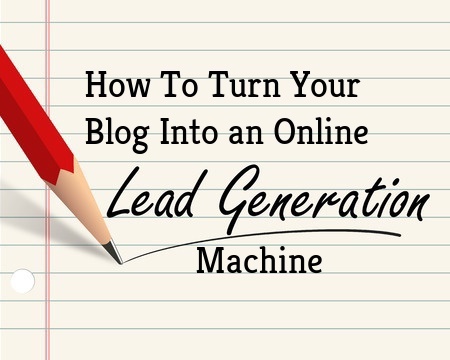 If you can apply the tips provided here, it will help convert your blog into an online lead generation machine. Our lead-generating blog and social media package is designed to make it easier to capture visitor’s emails and free up the time you spend on lead-generating and social media marketing. Click here to download our FREE EBOOK that reveals 6 steps to creating a blog that will generate more leads for your business.